Hello to all the Magnolia Lovers! At first I want to say a big big big THANK YOU for all your support since I open this new challenge blog yesterday! No matter if on Facebook, comments on this blog or even via private message, it really blew me away how excited you are about "All About Magnolia"! Thank You so much! 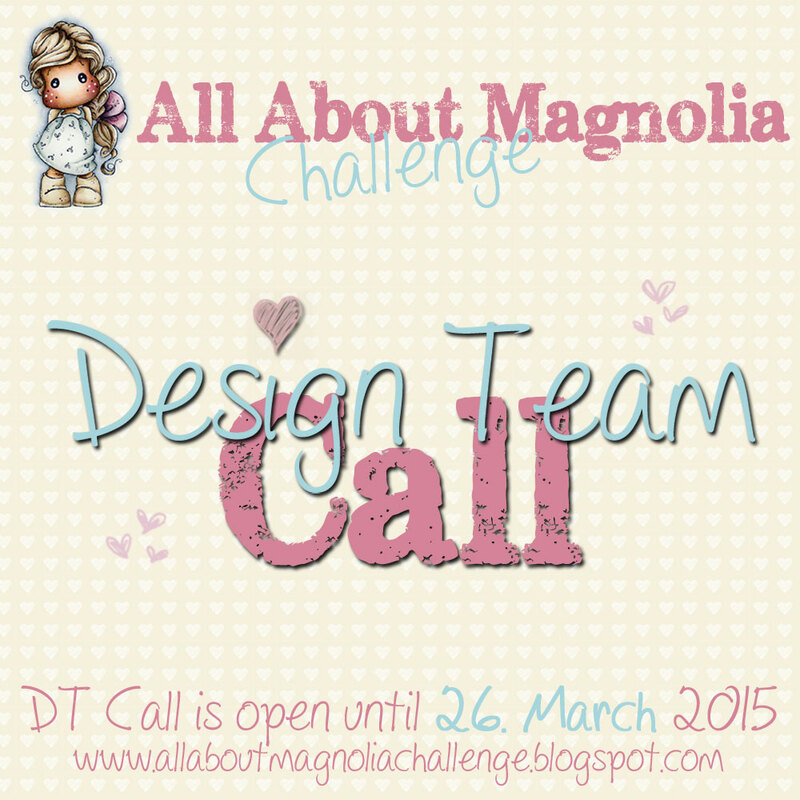 So would you like to be part of the All About Magnolia Design Team? Then this is your chance. We are have a big DT Call right now!!! To participate in our DT call, please sign in to Inlinkz below with your blog adresse untill 26th March 2015! The first exciting challenge will start on Monday the 6th April!!! Make sure to don't miss it!!! Hello to all Magnolia Fans out there! And welcom to a new monthly Magnolia challenge called: All About Magnolia!!! We are a monthly Magnolia Challenge blog. Every first Monday of the month will be start a new gorgeous challenge with our beloved Magnolia stamps and other products. Come and share your love for Magnolia with us!!! So stay tuned: We will be have a big DT Call in a few days!